Champagne Delamotte maintains an understated profile, one that might seem unusual for a House of its history, pedigree and absolute quality. But in a world of glitz common to so many commercial champagne brands, this discreet maison de champagne has long been the smart choice of those who know – indeed ‘pour ceux qui savent’ might be Delamotte’s marketing strapline, if ever it felt the need to have one. Based in the Côte des Blancs in the village of Le Mesnilsur-Oger – perhaps the greatest grand cru of all – the House of Delamotte is an unapologetic champion of the chardonnay grape. The local in-joke refers to it as ‘the other great blanc de blancs’– a wink to legendary sister house Champagne Salon, with whom it shares so much DNA, as well as its elegant headquarters, ownership and management team. But Champagne Delamotte needs no starry guarantor, even one as impeccable as Salon, to attest to the quality and refinement of its wines. 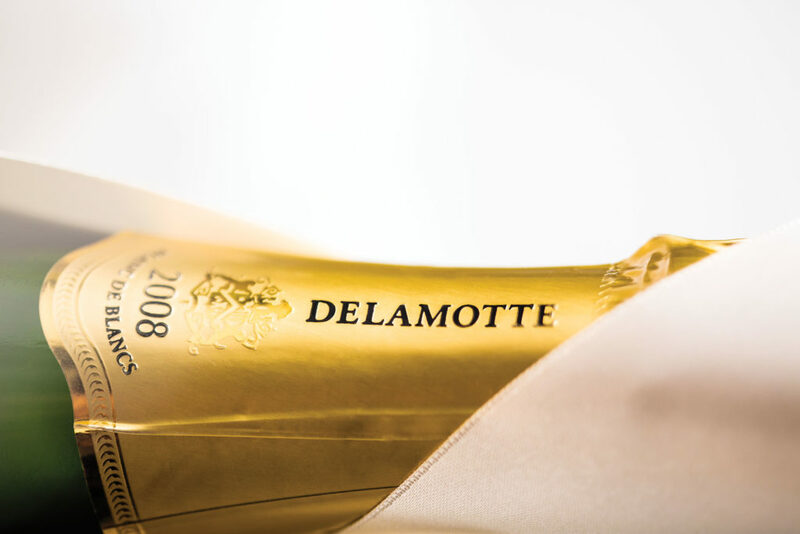 And let us not forget: a great champagne is first and foremost a great wine; this is the premise and challenge that drives Champagne Delamotte today, as it did from the very beginning. This demands an absolute commitment to quality, rooted in hard work: meticulous and constant attention to detail in the vineyard and the cellar; perspiration/inspiration; and the constant remise en question – the self-questioning, the ‘proving’ of tradition and technique – that drives improvement. While the quality practices enshrined by François Delamotte in the late 1700s earned a mention in the progressive Encyclopédie des Physiocrates, later custodians the de Nonancourt family would restrict yields and retain multiple harvests in the cellar, to maintain stringent standards. Today, it is Didier Depond, Président of Champagne Delamotte and Champagne Salon since 1997, who leads Delamotte forward, honouring long-held practices yet unafraid to embrace new techniques in pursuit of quality, forging the traditions of the future. Great in ambition, small in structure, Delamotte is run by a loyal and tight-knit team: just 10 people cover every aspect of the business, and there is a family spirit and dynamism here, more akin in some ways to a start-up. For all the hard work, there is a twinkle in Didier’s eye, a sense of joie de vivre that nods to the Delamotte family coat of arms. 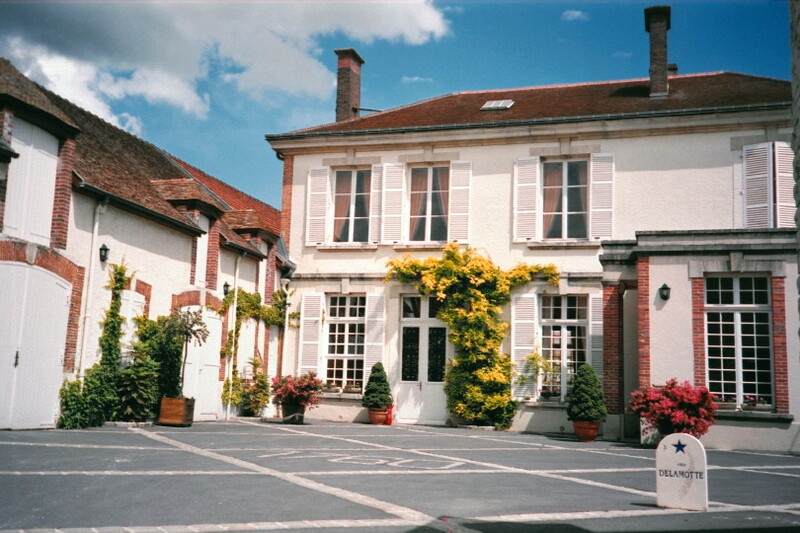 Presiding over the entrance to Delamotte’s headquarters in Le Mesnil-sur-Oger, it bears the Latin inscription ‘Vive Et Me Ama’ (‘Live And Love Me’). To quote Didier: “a great champagne – like any great wine – is meant to be appreciated and enjoyed. Read and write about it, savour it academically all you will, but don’t forget to live and love”. There are several key figures who have played significant roles in shaping the fortunes of Delamotte in time, and therefore important to mention here. The first of these was François Delamotte, who founded the House. Born in 1722 in Reims, he was a distinguished military captain and magistrate of some standing. He also owned sizeable vineyard holdings in Cumières. Influenced no doubt by his father-in-law, a vine-grower in Ay who produced champagne under his own name, François decided to do the same, and in 1760 established his own champagne house in Reims. The trade name Delamotte Père & Fils was adopted in 1786, when François’ eldest son Alexandre joined the business. Fast-forward to 1798 and the return of François’ younger son, Nicolas Louis Delamotte, who was to prove an influential figure in the next chapter of the House of Delamotte. By all accounts a natural leader and gregarious in personality, Nicolas had earned himself the rather impressive title of Knight of the Order of Malta. When the Order was dissolved after the Napoleonic conquest he returned from service to the family fold. This explains the link to the eight-pointed cross of the Order that features in the Delamotte trademark: it was Nicolas who had it incorporated into the logo. During Nicolas’ time at the helm of the family firm, he married Marie-Pierrette Barrachin and was then known as Chevalier Delamotte Barrachin. Successful in business and influential in the wider trade, Nicolas also rose to become President of the Chamber of Commerce in Reims. It was in this capacity that he oversaw arrangements for the coronation of Charles X on 29th May 1825 – an occasion that inspired Rossini to create his opera ‘Le Voyage à Reims’. Delamotte was subsequently given the title of Chevalier de la Légion d’Honneur. 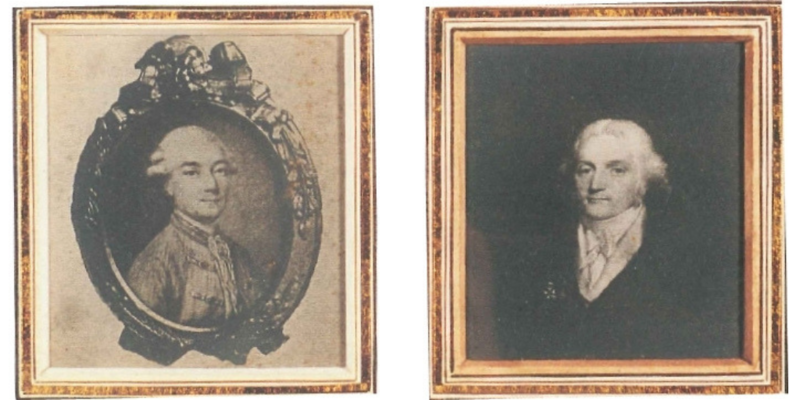 A friend and later associate of Nicolas Louis Delamotte, Jean-Baptiste Lanson must feature in our summary, for his impact on the Delamotte family business was a significant one. Born in 1777 to wealthy farmers in the Ardennes, Lanson was forced into exile in Germany by the bloody events of 1792-3 and it was here that he learned much about trade. When he eventually returned to France he built a distinguished career as a civil servant, moving through the ranks at Reims City Hall, to become a high-profile public figure. Highly respected and soughtafter in business and society alike, he held key positions on a number of trade committees and councils and was later to serve as Deputy Mayor of Reims, earning himself the title of Chevalier de la Légion d’Honneur for his contribution to public service. Moving in similar circles, Nicolas Louis Delamotte and Jean-Baptiste Lanson came to know each other well. In 1828, Nicolas Louis Delamotte offered Lanson a minority partnership in the family business, a role that Lanson accepted. When Nicolas died in 1837, Lanson and Nicolas’ widow Marie-Pierrette co-managed the company, trading under the name Veuve Delamotte-Barrachin. As time went on, Lanson assumed increasing operational responsibility, to the extent that when Marie-Pierrette died without heir in 1856, he assumed full control. Reestablishing the business entirely, he abandoned the Delamotte name in favour of Lanson Père & Fils. Thus, after almost 100 years, the Delamotte name looked to be lost forever. However, this was not the end for Delamotte, thanks to one woman: Marie-Louise de Nonancourt, a woman whose inheritance and actions were to prove instrumental for the future not just of Champagne Delamotte, but also Champagne Salon and the owner today of both houses: Champagne Laurent-Perrier. A descendant of Jean-Baptiste himself, Madame de Nonancourt inherited the House of Delamotte via the female line (her two brothers were to become key figures in the Lanson business). Widowed young, she worked tirelessly to revive the business and thus protect the family’s fortunes. In 1938, in a moment of serendipity, she was to learn that a small, tumbledown champagne house was for sale, after its owner had died without heir. Anxious to secure future prosperity for her sons, she seized the opportunity to buy it. The house was Laurent-Perrier. While Champagne Delamotte developed into what would probably now be termed a ‘boutique’ operation focused on premium quality and the chardonnay grape, Laurent-Perrier was to follow a quite different trajectory. Under the dynamic direction of younger son Bernard – by all accounts a man of legendary charisma, intelligence and a phenomenal work ethic – Laurent-Perrier was to grow into one of the champagne region’s largest and most successful names. In 1988, Bernard de Nonancourt was to merge the family interests by taking over Champagne Delamotte, integrating it into the Laurent-Perrier group. Just a few months later, he was able to realise a long-held dream – an emotional milestone that merits a chapter of its own! – in acquiring at long last the tiny Champagne Salon, Delamotte’s neighbour in Le Mesnil-sur-Oger. This is how the destinies of Champagne Delamotte and Champagne Salon came to be entwined. Today, these two exceptional producers operate as sister houses, sharing offices and facilities in the very same historic town house in Le Mesnil-sur-Oger, bought by the de Nonancourt family so many years before. The next chapter of the rich and complex story of Champagne Delamotte brings us to the present day and two men who, individually and in close partnership, have proved transformative to its image and reputation. The first of these two men is Didier Depond, the dynamic force at the helm of both Champagne Delamotte and Champagne Salon for over two decades. Considering Didier’s ancestors were all vine growers, it is perhaps no coincidence that he would come to build a career in the wine world. In 1986, having completed commercial studies, he joined Laurent-Perrier in a sales role and rose swiftly in the company, becoming Head of Marketing in 1994. Just three years later in 1997 he was made Président of both Delamotte and Salon. A close mentee of Bernard de Nonancourt for many years, Didier cites the enormous influence of the ‘great BN’ on his career. Like his mentor before him, Didier is one of the Champagne region’s most passionate advocates, relentlessly hard-working in striving for achievement. Yet in conversation with Didier, no discussion of Delamotte’s quality, or indeed commercial success, will run far without mention of Michel Fauconnet, Head Cellar Master, a man whose winemaking experience spans almost half a century. Michel Fauconnet’s career in wine began in 1973 when he joined Laurent-Perrier on work experience, moving through the ranks under his predecessor, the legendary Alain Terrier. Renowned perfectionist, intuitive master blender and stringent to a fault, Michel Fauconnet is inextricably linked to Champagne Delamotte’s timeless style, working closely with Didier himself on the final blends and dosage levels. Together, and over many years, these two men have worked tirelessly in their respective ways, to protect and foster the precious legacy of these iconic champagne houses. 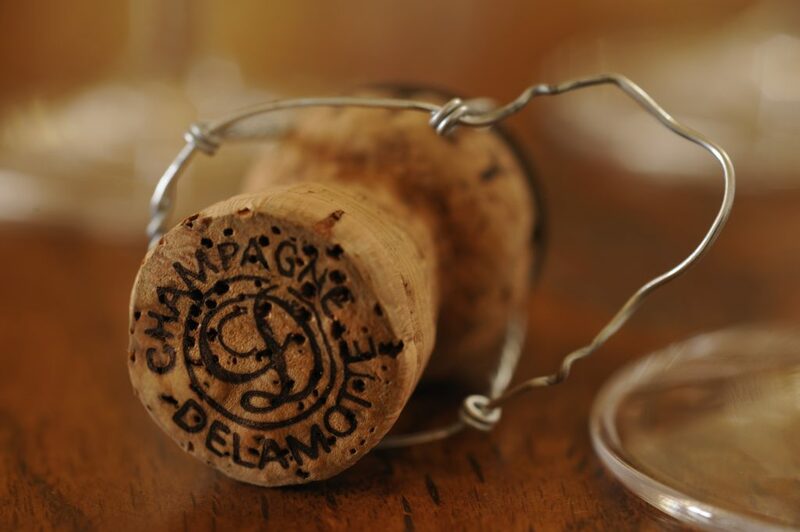 Corney & Barrow are proud to be the exclusive agent for Champagne Delamotte in the UK. 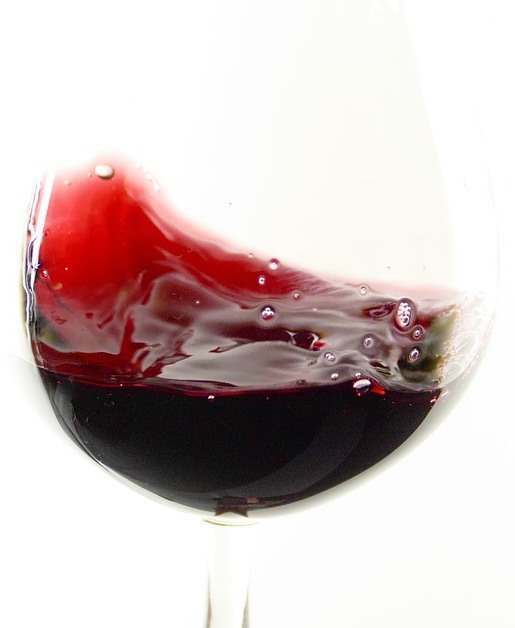 Find out more about the latest 2008 Vintage Release here.